Scalper Zoom is a new trading system designed to facilitate the process of Forex trading both for beginners and professionals. The Scalper Zoom indicator uses an adaptive method of operation and analyzes the market using multiple trading algorithms, while selecting the most efficient one for the given currency pair and timeframe. Working with this indicator is very simple. When a red vertical line appears, open a sell order. Close it when a blue vertical line appears. Follow the opposite steps for sell orders. 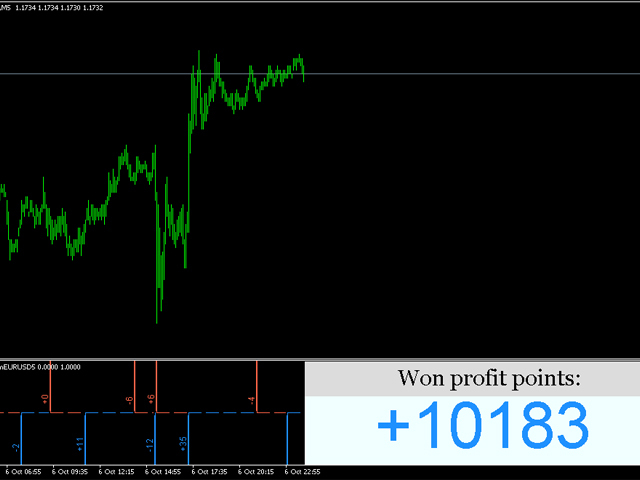 After each successful or unsuccessful signal the indicator displays the number of profit or loss points on the screen. In addition, it displays the information on total profit/loss. The indicator is very easy to configure. Simply attach the Scalper Zoom to the terminal chart, then use the short_wave and long_wave parameters to achieve the maximum profitability. The indicator displays the profitability level in the right bottom corner of the chart. As soon as you find the parameters with acceptable profitability level, you can start trading. There is no need to additionally filter the indicator signals. 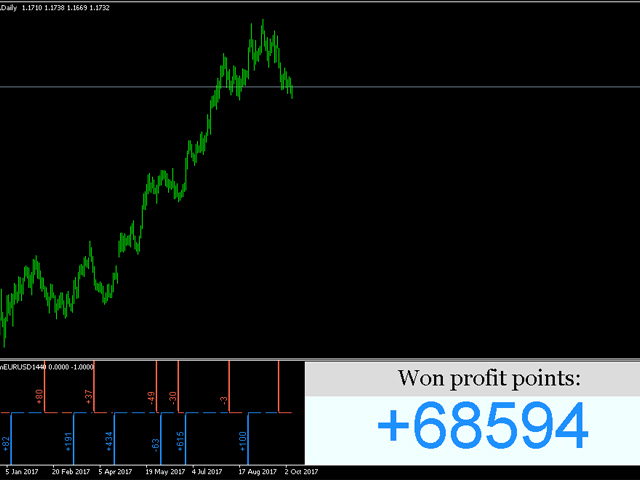 This indicator has been created as a ready-made trading system. It works absolutely autonomously without any additional indicators. The buy and sell signals are generated when new bars appear. They are not redrawn. That is, as soon as a new bar appears (Open) and the indicator decides that it is necessary to open a position, a vertical line is immediately drawn on the screen. It will not be redrawn in the future. You can see this by testing this indicator in the strategy tester. Fully autonomous operation. No additional indicators are required for trading. It works on all timeframes. short_wave - period of the indicator's short wave. long_wave - period of the indicator's long wave. email_push - send signals to email. No sirve para nada. Muy mal producto. Y hasta no hace mucho lo vendia cuatro veces mas caro.